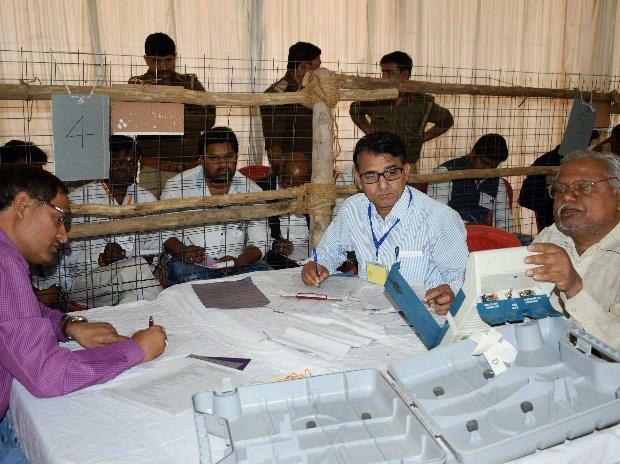 Karnataka polls: Is BJP more efficient in translating votes into seats? Encouraged by the Karnataka bypoll results, the Communist Party of India (CPI) on Tuesday said a united opposition could easily defeat the BJP. The JD(S)-Congress coalition won two of the three Lok Sabha seats and both the Assembly segments on Tuesday in the fiercely-fought bypolls, giving a shot in the arm to the ruling combine in Karnataka that faces frequent questions on its longevity. Welcoming the verdict of the Karnataka bypolls, the Left party said the people of the southern state had made it clear that a united opposition could easily defeat the Bharatiya Janata Party (BJP). "The Deepawali gift of the Karnataka people makes it clear that a united opposition can easily defeat the BJP," the CPI said in a statement. It added that the huge margins of defeat of the saffron party candidates showed the anti-BJP mood of the people. The CPI has consistently been stressing on state-specific alliances of non-BJP political parties in order to take on the ruling party in the 2019 Lok Sabha polls.